The Department of Defense has been aggressively pursuing alternative energy both as the key to future national security and as a means of reducing troop casualties in the field, and a new Army solar project provides a perfect illustration of the two entwined goals. The project involves integrating solar power with the Army’s new “Firefly” sniper detection system, which somewhat ironically has been exposing Soldiers to enemy fire when they have to install fresh batteries to power the equipment. That risk has now been practically eliminated, thanks to solar power. 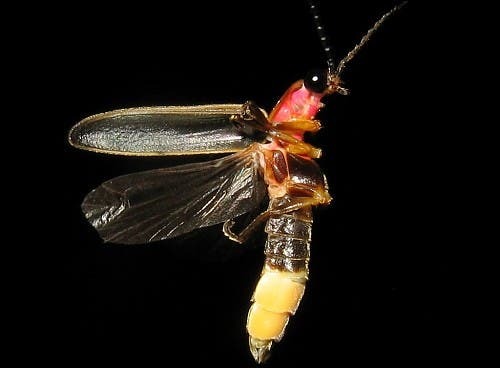 First Things First: What Is Firefly? Before we get into details about the solar array, let’s take a look at that critical weak point in the Firefly sniper detection system. As described by Edric Thompson of CERDEC (the Army’s Communications-Electronics Research, Development and Engineering Center), Firefly refers to the new Hostile Fire Detection Sensor, a portable surveillance system that can be carried in a backpack or mounted at forward operating bases. Initially deployed in Afghanistan last spring (around May 2012), Firefly is designed to proved 360-degree detection and location of enemy shooters, using a hybrid system of acoustics and short wave infrared detectors. Firefly is so sophisticated that it can detect hostile firepower both in and out of line-of-sight, and classify it according to scale (small arms, machine gun or rocket/mortar). The problem, according to Thompson, basically boils down to deploying 21st century technology while relying on 20th century energy. Firefly’s best-use scenario involves untethering it from generators and other stationary energy sources, which means that it is dependent on batteries. However, when deployed along perimeter walls at sites in Afghanistan, Firefly was exposing Soldiers to additional risks from enemy attacks whenever they had to get above the wall line to change the batteries. The Department of Defense has been pushing for more utility scale solar installations to power permanent bases for several years now, and more recently it has begun ramping up its efforts to press portable and transportable solar power (and wind power) into service at temporary camps, forward operating bases and even field operations. To that end, CERDEC has developed a renewable energy microgrid system called RENEWS for the Reusing Existing Natural Energy, Wind & Solar system. It includes solar panels, a wind turbine, and a rechargeable battery unit featuring advanced, lightweight BB-2590 batteries developed by CERDEC. The system can produce about 300 watts of power and it is silent and self-sustaining, meaning that it is free of two key operational drawbacks suffered by conventional diesel generators: noise and refueling. Integrating RENEWS with Firefly was a joint effort by the Army Research Laboratory, the Aviation and Missile Research, Development and Engineering Center, and private sector partners. The result is a silent, refueling-free power system with practically no routine maintenance issues that would pile on risks for Soldiers. There is no need to change the batteries, and the solar panels can easily be located below the wall line where they can be cleaned regularly without exposure to enemy fire. In addition to reducing risks on site, the RENEWS/Firefly combo also eliminates the need to use diesel generators for recharging batteries, which helps to reduce risks related to fuel convoys. Several of the RENEWS/Firefly kits have already been deployed, and in addition to their immediate use they are also providing the Army with the opportunity to get additional feedback on logistics and load reduction. As the Army and other branches of the Armed Services transition to renewable energy, what is also emerging is a broad environmental stewardship platform for future national security, as embodied by the Army’s Net Zero initiative, which links renewable, locally sourced energy with public health and well being. That brings us to a situation in which the Department of Defense is using renewable energy to reduce risks, improve well being and create new efficiencies, while here in the civilian world local communities are dealing with increased threats related to fossil fuel dependency. Forget climate change, just add up the growing pile of local impacts and potential risk related to natural gas fracking, wastewater disposal from oil and gas fracking, mountaintop coal mining, coal ash disposal, coal transportation, and tar sands oil transportation (and a related issue, petroleum coke) among other issues, and you come away with the distinct impression that fossil fuel harvesting has created a siege situation here in the US. Now consider that as the US reduces domestic dependency on fossil fuels, more of these impacts and risks are going to support the export market, as neatly illustrated by the proposed Keystone XL tar sands oil pipeline.